Audi just revealed its first-ever battery-electric SUV last week, the e-Tron. Despite the recent reveal, the brand claims it has already received 10,000 pre-orders for the new SUV. The order count claim is coming from Lahouari Bennaoum, Director of Finance for Audi. In a recent interview with French publication Automobile Propre the executive asserted there was already 10,000 pre-orders. 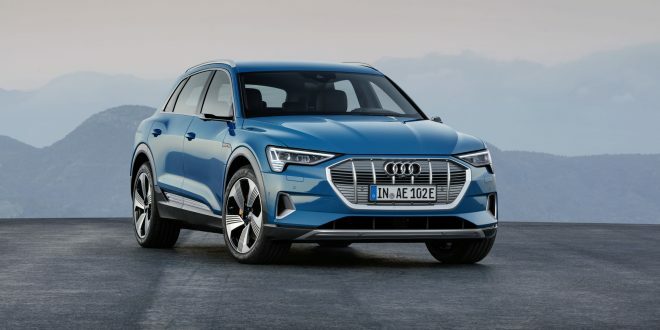 Audi has been accepting pre-orders for the e-Tron for a few months now, despite it just being shown to the public last week. Interested customers could raise their hand for the SUV by putting down a $1,000 deposit. The lucky future buyers will get a pure-electric SUV with two electric motors and a 95-kWh battery pack. Audi has remained mum on power details thus far, but have made claims the e-Tron will do zero to 60 mph in around 5.5 seconds. The all-new e-Tron will begin hitting the market next year. I know two guys that put a deposit down. I hope more manufacturers go the route of Tesla and offer up a new automotive experience over just electrifying what’s normal.